Join our mailing list to find out what we're up to. 1. Woolcraft with Wensleydale is a rural enterprise owned and run by Julia Desch at Causeway Farm Barn. It is not a company, but a "sole trader" business. 2.We operate an ethical and sustainable policy towards our sheep and our products. We buy in some additional pure Wensleydale fibre from local flocks who are personally known to us and who operate in a similar way. All our processes are home/locally carried out with the exception of tanned skins. These are sent to Devonia Tannery as they are the only people able to cure longer wool. 3. Our regular products and prices are shown on the website. Prices may be reviewed and increased in line with production costs. Any increases will be shown on the website and on our printed price list. 4. 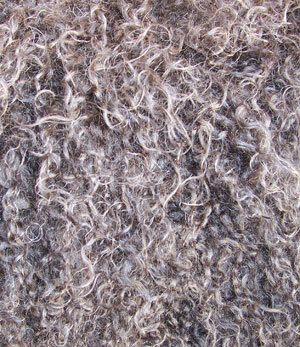 We produce very small quantities of each sliver, roving, yarn. Each run will be unique and subject to variation in tone and worsted spun yarn is given a Series Number shown on the yarn label. Please ensure you order enough to avoid disappointment part way through your project. 5. Not all our products are continuously available due to quality fibre shortage. We welcome email enquiries ahead of time. 6.There is no minimum order, but you need to factor in a £2.50 handling charge, plus the cost of actual postage by Royal Mail. 7. We aim to complete our orders and send them to you within 14 days. If there is a production delay we will let you know. 8. We do not accept Credit Cards, but we can accept payment by cheque, or internet bank transfer. If you order from us we will advise you of the total amount, so you can arrange payment before we send the goods to you. 9.Choosing speciality wool and fibre products is a personal process and we are happy to answer as many questions as you may have before you make your decision. We are also open to visitors by prior arrangment. 10. We can only accept Returns which are in the same condition as when they are sent out i.e. yarn/roving must remain banded and TOPS remain packeted. Worn garments will not be accepted. please contact us first to discuss the problem and agree the remedial action. 11. We advise customers to handwash at low temperature (30 degrees), dry flat or dry clean only where appropriate. We cannot take responsibility for unnecessary damage to any of our products. They have all been tested over a number of years before being marketed. 12. Please contact us first if you wish to discuss any of these points and if you do have to return an item you have 14 days from the date of purchase. 13. Occasionally we make mistakes and if we do we will do our very best to put them right. We value our customers and aim to give a personal service. 14. We aim to give accurate descriptions and images of all our products, but we will always provide further details if required.